This post is a proposal for Matter’s International Reporting Fellowship. 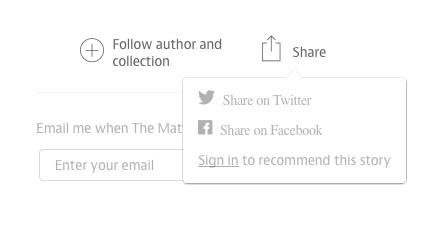 Once you’ve created an account, you’ll see a heart-shaped “recommend” button below the author’s name — click on that heart, and your vote is cast. Tweeting and/or sharing on Facebook does NOT count as a vote. The illuminated green heart constitutes a vote. On their night out, the office girls from the Dongguan toy factory loaded up the hot pot. In the aluminum cauldron, they swished cabbage, rice noodles, and ruby-red, thinly-sliced pork. Pork, pork, and more pork, leaving a rich greasy broth by the end of the meal that we slurped from our bowls. A decade ago, I was on a reporting trip in the Pearl River Delta, on the southern coast of China. Angel Fu – the daughter of factory workers and a college graduate turned manager – summed up her country’s economic gains in her lifetime. “Yi qian, wo men chi bao. Xian zi wo men chi hao.” In the past we ate our fill. Now we eat well. To the Chinese, eating well meant eating meat whenever they wanted, not only once a year, as in their childhoods. Today, the attitude persists, and with rising incomes, so too comes rising demand for pork in China, where more than half the world’s pigs are raised. To meet the demand and to put volatile pork prices under control, China is starting to import American-style factory farming. But will Chinese consumers bite? My story will trace the supply chain that begins in the hog pens of Indiana and Iowa. Their breeding stock travels by air halfway around the world to Chinese mega-farms. After processing, the meat continues to modern supermarkets in neat plastic-wrapped packages, and ends up on the dinner table of a middle-class family. The U.S. influences every step of the way. China is the top destination for exports of live U.S. hogs, which are prized for efficiently and quickly putting on weight. Indiana’s Whiteshire Hamroc, an animal genetics company, is modernizing China’s industry with breeding stock that will spawn 10 million swine annually for Tangrenshen, a major pork producer and processor. Whiteshire Hamroc is also exporting its technological know-how. I propose visiting the company’s new research farm in northern Indiana – a joint venture with Tangrenshen – that trains Chinese farm managers. In China, swine are so central to the culture that the character for home is signified by a pig under a roof. With their prodigious fertility, pigs are a lucky symbol of abundance. Through the eyes of a Tangrenshen worker trained in Indiana, I’d examine the old and new ways of raising pigs in China: the shift from small backyard herds to today’s industrial farms. Next, I’d track Tangrenshen pork to the sales counter. 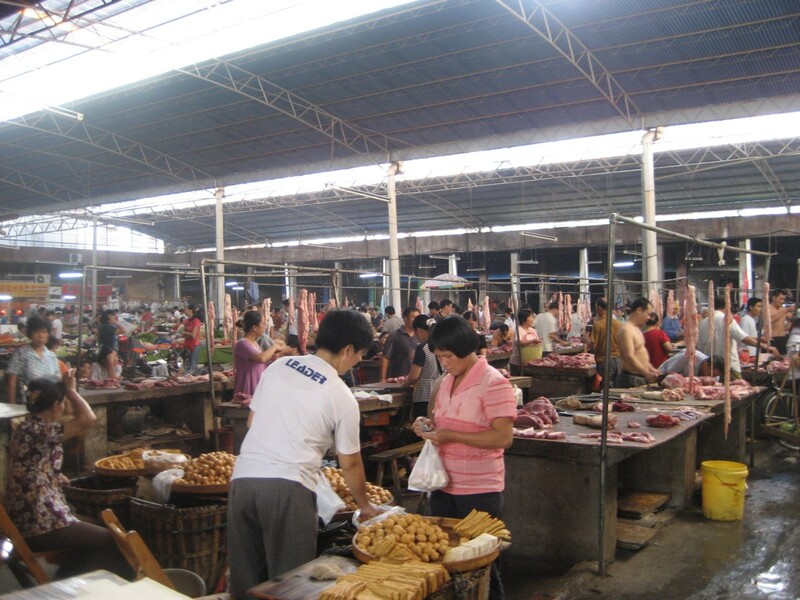 By custom, Chinese have shopped daily at wet markets, asking the butcher to hack off cuts from freshly-slaughtered animals. Middle-class families are embracing American-style big box stores for their modern convenience, cleanliness, and economies of scale at retailers such as Walmart. To illustrate the changing shopping and pork consumption habits of Chinese, I would interview three generations of a single family: elders accustomed to a mostly plant-based diet, their adult offspring struggling to balance traditional eating habits with modern life, and their children, little emperors. 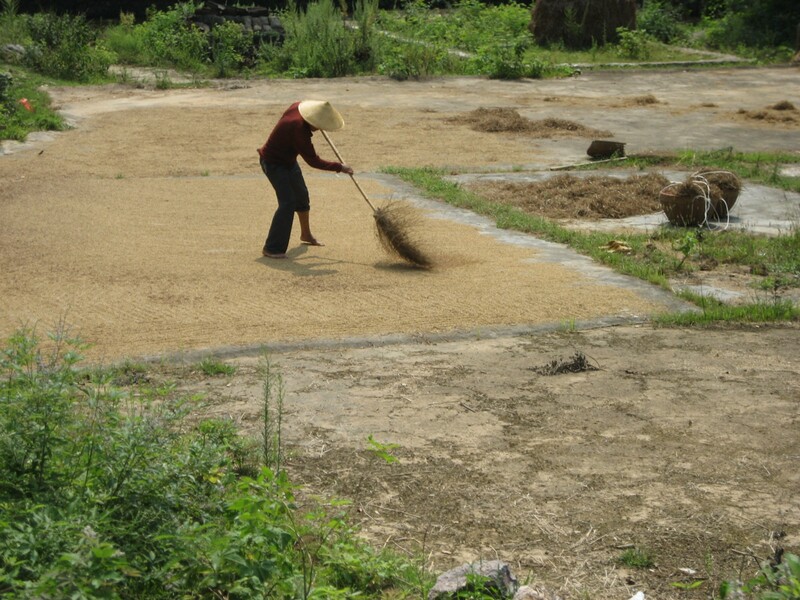 As their farms industrialize, the Chinese question the safety of their food supply. Pork tainted with clenbuterol – a banned drug that boosts growth – sickened hundreds of people in 2011. Later that year, Chinese officials also ordered a dozen Walmarts to close temporarily and detained employees while investigating allegations the retailer mislabeled regular pork as organic and charged a premium. Wealthier consumers are taking deliveries direct from local farms, and are shopping at organic specialty markets supplied by their own farms and ranches. In the face of rapid modernization, these consumers prefer the small-scale farming and animal husbandry methods of their peasant ancestors. I am deeply prepared to report from overseas, after filing award-winning stories from Panama, China, South Korea, and Burma. I have planned itineraries and lined up interviews and translators, fixers and photographers on trips funded by the San Francisco Chronicle, the International Reporting Project, the East-West Center, and the United Nations Development Programme. With the cost of hotel, translators, international and domestic transportation, I estimate $5,000 in travel expenses. I am adept at conceiving a complicated investigation with significant impact. My political finance project led to the resignation of the California Secretary of State, prompted two FBI investigations, and federal and state convictions of his fundraiser, and was honored by the Society of Professional Journalists. I am a versatile reporter, having covered Asian American issues, minority business affairs, and technology, among other beats at the San Francisco Chronicle. I move from the micro to macro view and back, seeking the history, financial context, and cultural forces shaping trends. I am also experienced in taking pictures, recording audio, and blogging to accompany my print stories. I would be grateful for your support, and would make the most of this amazing opportunity.